Bogdan Białek is the president of the Jan Karski Society. He is also a publisher and editor-in-chief of Charaktery, a monthly magazine covering psychology-related topics. For his social activities he was awarded the following prizes: Irena Sendler’s Award, Łukasz Hirszowicz’s Award and Father Stanisław Musiał’s Award as well as the Polcul Foundation Award. 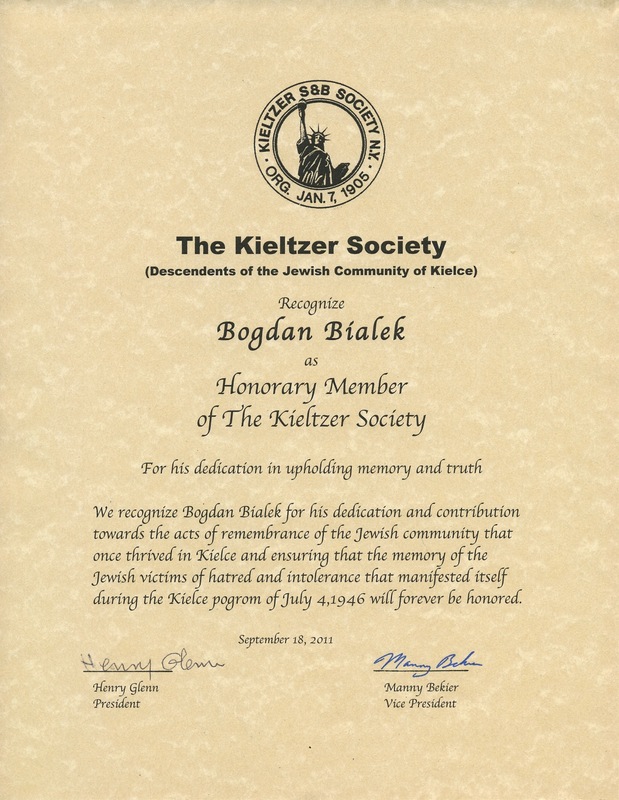 He is also an honorary member of the Kieltzer Society – Association of Kielce Jews in New York.